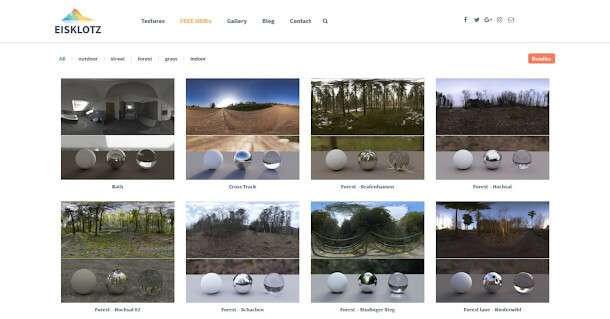 Eisklotz – aka CG artist Adrian Kubasa – has released all of its HDRIs for free: a total of 29 files, comprising both interior and exterior scenes, and a range of times of day. Resolutions vary, but the majority go up to 16K (16,384 x 8,192px), and were captured using at least 12 EVs. Many also come with photographic backplates. The files are licensed for use in commercial work. According to Kubasa, he has given up HDRI creation, so the library seems unlikely to grow in future, but you can support his work by buying his photoscanned PBR textures (they’re only $1 each). You can also make a voluntary donation when downloading the HDRIs through Gumroad. Hat tip to BlenderNation for spotting this story.